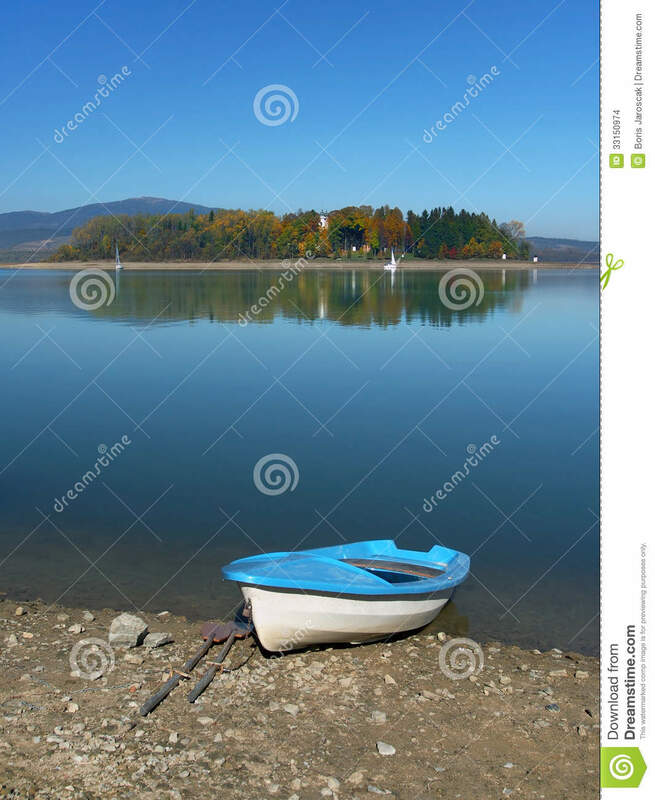 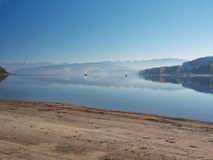 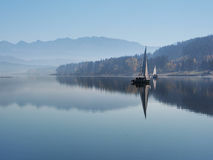 Boat and Slanica Island, Slovakia. 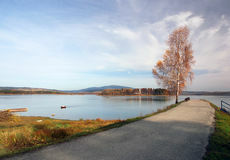 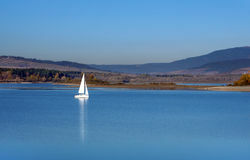 Autumn view of small rowing boat on shore with Slanica Island (Slanický ostrov), also called Island of art (Ostrov umenia) visible in the distance. 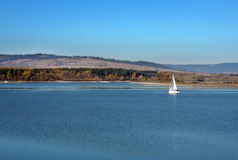 Slanica Island is located in Orava reservoir (Oravská Priehrada) lake, near Námestovo town in northernmost Slovakia. 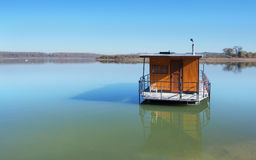 Slanica Island is widely known and frequently visited by tourists because it hosts permanent expositions showcasing traditional folk art of Slovak rural communities. 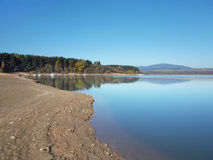 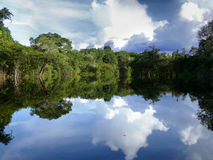 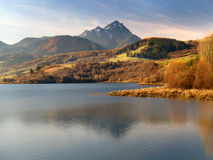 The Orava reservoir is protected by the Horna Orava Protected Landscape Area.